Our Lehman's Bucket Water Filter is OUT OF STOCK, but we have ordered more! You are still able to purchase it now and we will ship it to you as soon as it arrives. Questions? 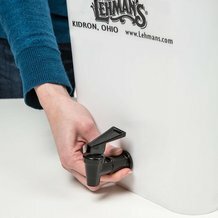 Please call 1-800-438-5346 or email us at info@Lehmans.com. 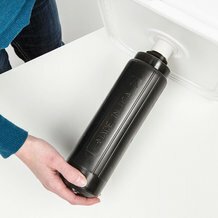 Exclusively made for you, we've put together a hardy water filter that's portable and can handle large amounts of water, so you'll always have safe drinking water on hand. 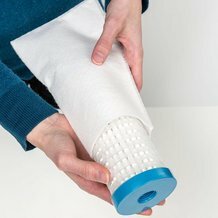 Removes bacteria, cysts, sediment, bad tastes and odors through a 3-stage filtering process. Galen Lehman, Proprietor, says, "Nothing is more essential to your well-being, health and survival than clean water. 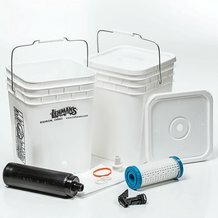 Want an affordable, no pumping required way to remove bacteria, cysts and about 100 different chemicals from your water? This is the answer! "Pour dirty water in the top. 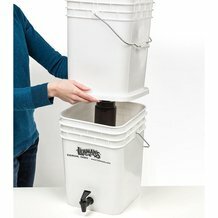 Draw clean water from the tap on the bottom a few minutes later. It's that easy. 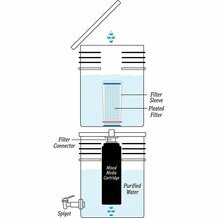 "We used the open-source principles and theory behind the leading filters (which we also sell) to design one of our own. 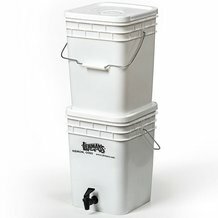 It doesn't say 'Berkey' or 'Katadyn' on it, but it takes out many of the same contaminants (and costs a LOT less)."